On a typical and sunny Saturday in Seattle, my friend Rika and I decided to see a slightly different part of the city – it&apos;s underground and showcases the old Seattle downtown with crooked sidewalks, run-down storefronts and a lot of history! We set off to Seattle’s Pioneer Square (1st Ave & Cherry St.) and found the Underground Tour’s ticket office close to the huge totem pole. The tour is offered hourly between 10am and 7pm from April until September and 11am-6pm between October and March. During the summer months and on weekends, make sure to purchase a ticket online as tours tend to sell out fast. We booked our tickets online, printed the voucher and got our wristbands for the 1:00pm tour at the will-call window, and were able to skip the long line in front of the ticket office. At 1:00, we were led into Doc Maynard’s Public House, a former saloon, and the tour started with a 15 minute introduction about Seattle’s history and the underground itself before we were headed out to Pioneer Square to descend into the first one of three underground passages that we visited on this tour. 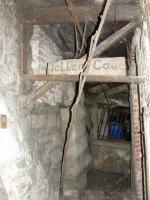 These underground passages led us past old and sunken sidewalks, dusty corridors, a former meat market, windows and door fronts of stores and the old Oriental Hotel. 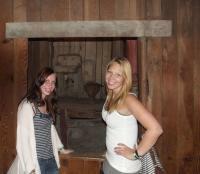 One of the last stops was an old vault which acted as Seattle’s first ATM during the gold rush. Rumor has it that the ghost of a teller who was killed in a robbery is still around... beware! While we all know how important (and sometimes dusty) history can be, our guide Janelle did a great job in mixing history with entertaining anecdotes and jokes, ensuring that everyone left the 75 minute tour amused and full of knowledge about the old Seattle. 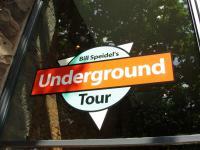 To let you in on some history, we learned that Bill Speidel, a UW graduate, journalist and preservationist, started the underground tour in 1954 with the aim of preserving the historic Pioneer Square and its history. After the Great Seattle Fire of 1889 that destroyed 25 blocks of wooden buildings and businesses in downtown Seattle, it was decided to rebuild the city. As Seattle was hilly and steep, the city raised the street by building walls, filling up spaces and paving above it. Shop owners started rebuilding their businesses right after the fire, unaware that their storefronts, old roadways and sidewalks would soon be located underground and hard to reach and that a new Seattle downtown was built above their heads. After this realization dawned, rebuilding continued on the new First Avenue and laid the foundation for the Seattle downtown we know today. 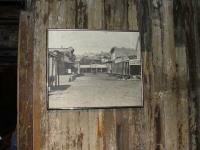 In case the rebuilding process confuses you a bit, don’t worry, historic pictures are placed throughout the underground to give you an insight into how the city looked back in the day. The last stop of the tour led us to Rogues Gallery, a gift shop with Underground Tour souvenirs and Seattle keepsakes. Don’t forget to tip your guide if you enjoyed it as much as we did! Tours start on the hour and last about 75 minutes.